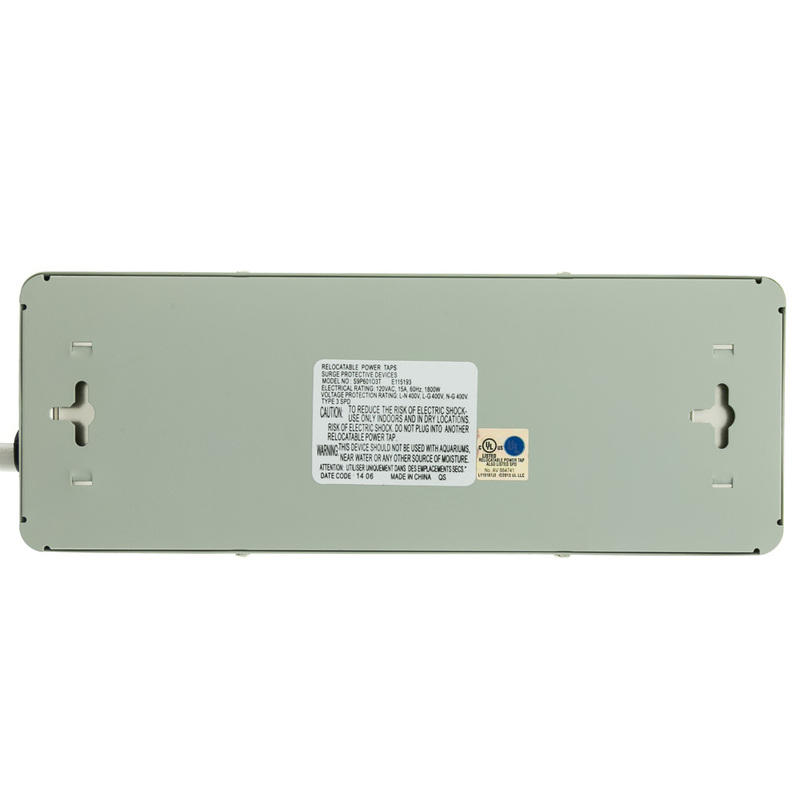 Our gray commercial grade surge protector features a metal housing for enhanced durability, one X3 MOV (metal-oxide varistor)(1080 Joules) to divert extra voltage away from your connected electronics and a 25 foot grounded power cable with a special flat rotating 3 prong plug (NEMA 5-15P) to better fit into tight places. 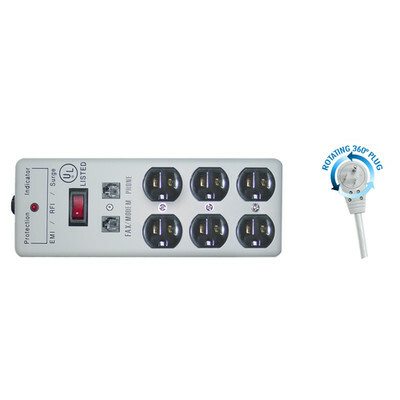 This 6 outlet surge protector will keep your computer and electronic devices safe from any damaging electrical disturbances. Voltage surges, spikes, EMI/RFI interference, noise and other problems can cause damage to any electrical device. 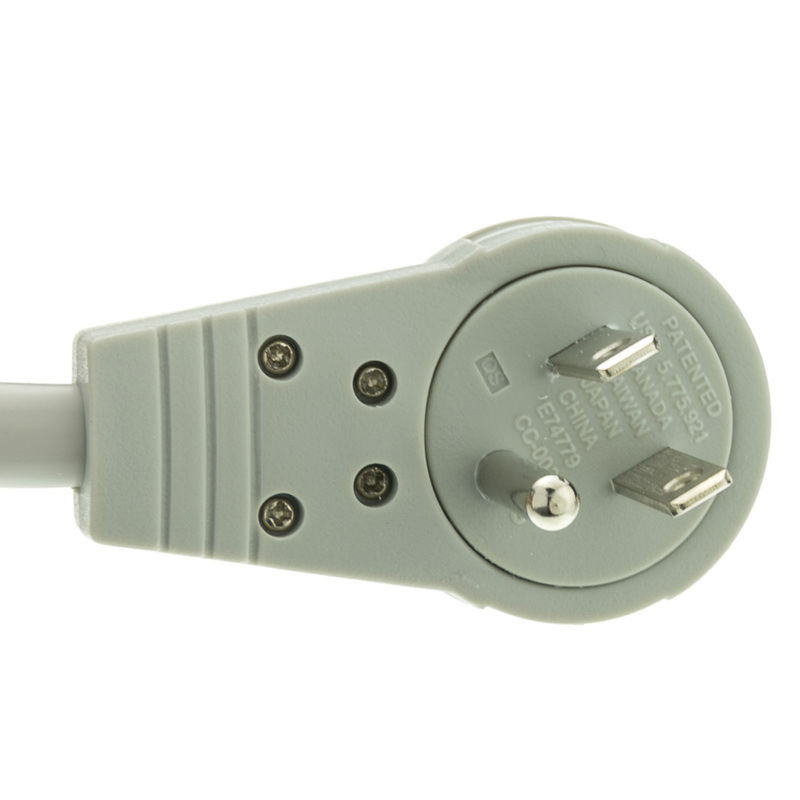 A computer surge protector will help protect your investments from these damaging occurrences. 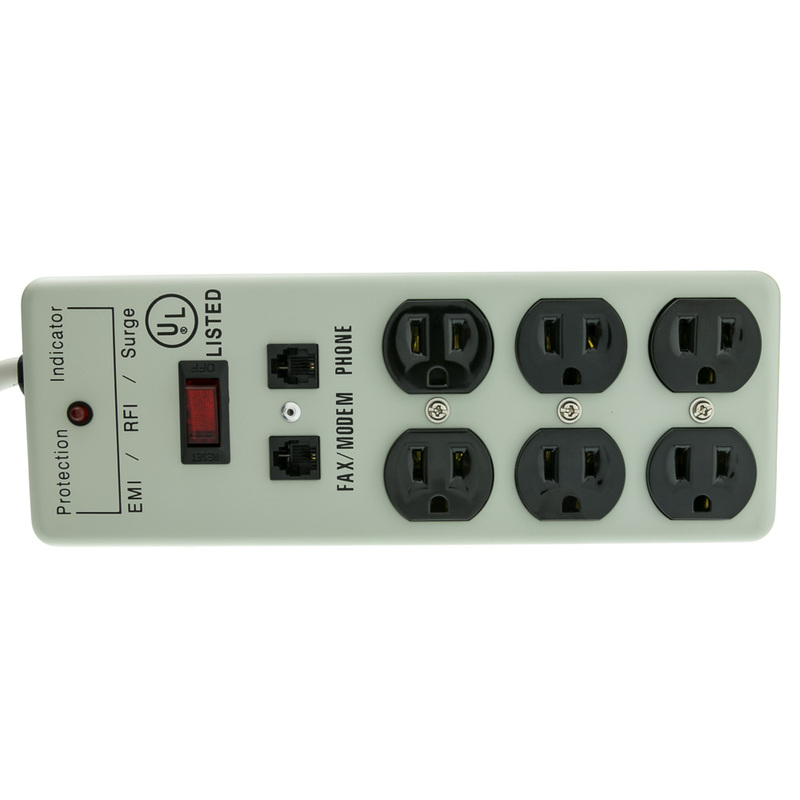 This power surge protectors features a re-settable circuit breaker that trips itself if it detects an electrical anomaly. 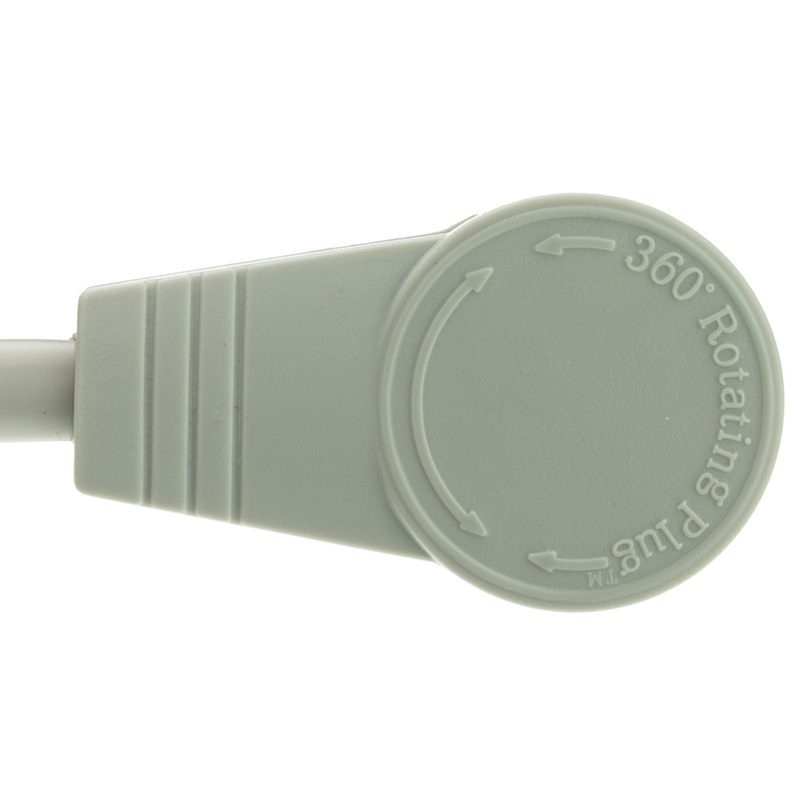 It also has a lighted rocker power switch for easy visibility, and a heavy duty cord. There is a protection indicator lamp that tells you if the surge suppression is active. 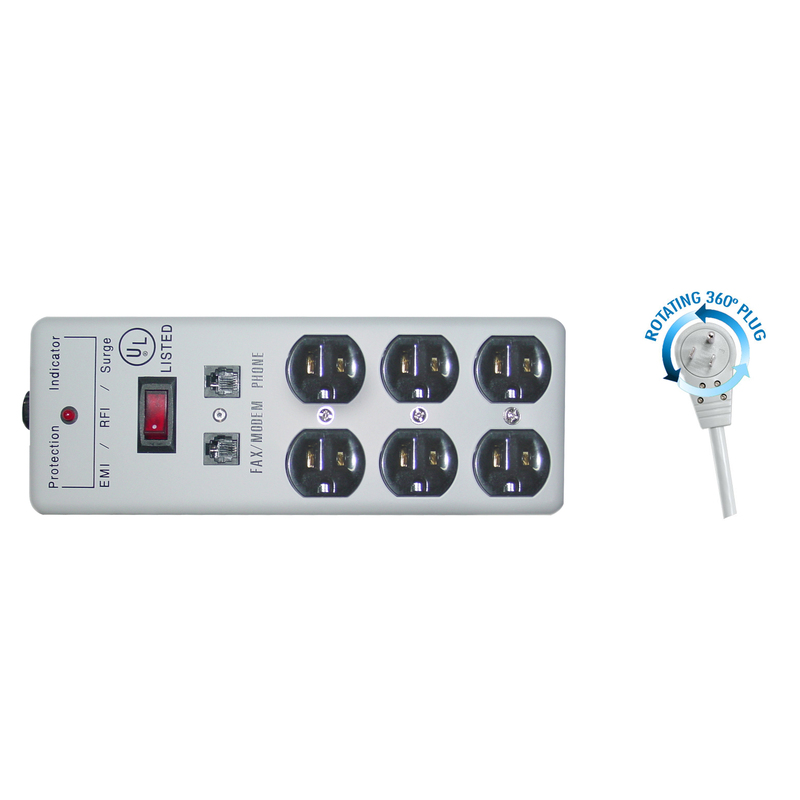 All 6 of the surge protector outlets have the same rating, so whichever outlet you plug your device into, it will be safe. 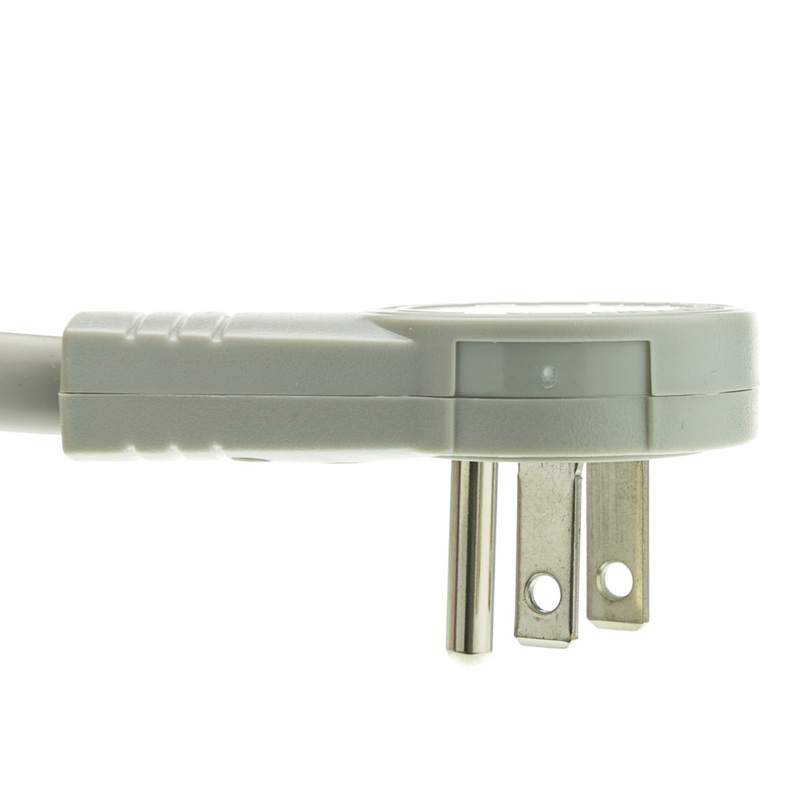 Home surge protectors are the best way to keep your valuable electronic devices safe from rogue lightning strikes as well. Item is very heavy duty.